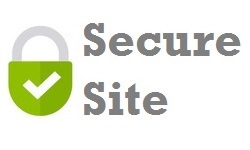 Steel work only with adjustments, if you want to use you own chain and padlock.. 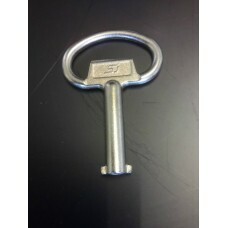 Replacement zinc keys for universal wheelie bin lid locks pick slotted or triangleTo use debate or c..
New wheelie bins that have integral locks. 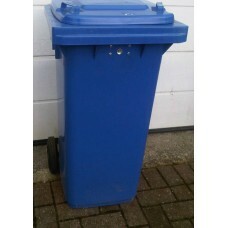 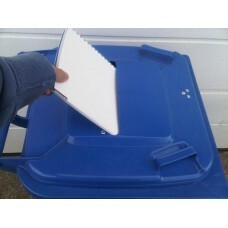 8mm triangle key and lock provided.Environmental friendly..
New 240L/140L confidentiality wheelie bins. 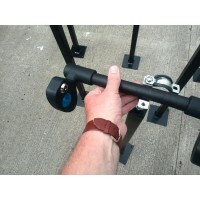 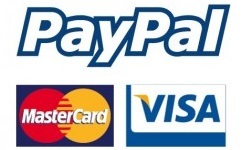 Good locking action and secure 20mm paper slot.&n..